If you're obsessed with comfort dressing when it comes to fashion, you'll love this super cute pairing of a red check dress shirt and a Salvatore Ferragamo vara bow bracelet. Up the cool of your ensemble by finishing off with black studded leather pumps. If you're a fan of comfort dressing when it comes to fashion, you'll love this stylish pairing of a black crew-neck t-shirt and a Salvatore Ferragamo vara bow bracelet. For something more on the daring side to finish off this outfit, make hot pink athletic shoes your footwear choice. We're all seeking comfort when it comes to dressing up, and this combination of a black blazer and a Salvatore Ferragamo vara bow bracelet is a practical illustration of that. Spruce up this outfit with black leather ankle boots. If you're all about practicality dressing when it comes to your personal style, you'll love this uber cute combo of a black cropped sweater and a black leather bracelet. 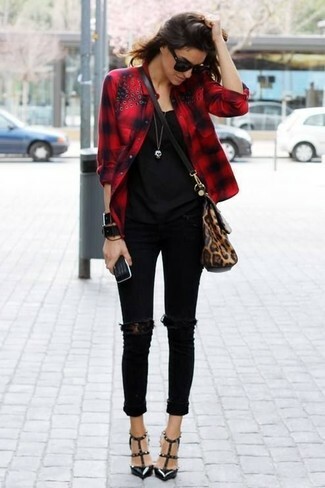 A pair of black leather pumps will add some real flair to this outfit. 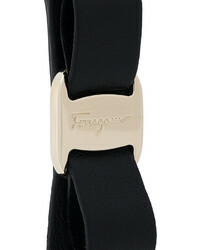 If you're a fan of relaxed dressing when it comes to fashion, you'll love this totally chic pairing of a navy blazer and a Salvatore Ferragamo vara bow bracelet from farfetch.com. 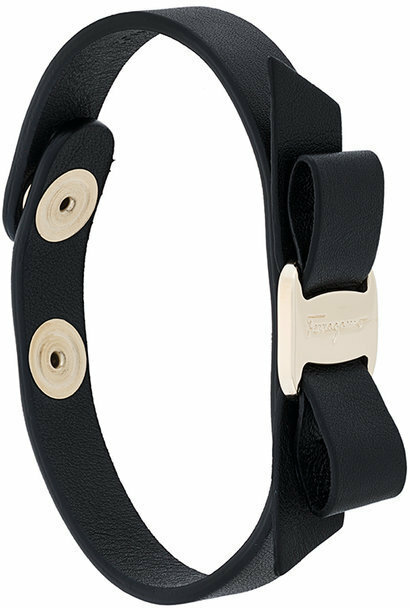 If you're obsessed with functionality dressing when it comes to your personal style, you'll love this chic pairing of a black cropped top and a black leather bracelet. When it comes to shoes, this look is round off nicely with black leather flat sandals. If you're a fan of comfort dressing when it comes to fashion, you'll love this extra cute pairing of a grey fur vest and a Salvatore Ferragamo vara bow bracelet. Wearing a pair of black suede over the knee boots is an easy way to add some flair to your outfit. Make a beige fur jacket and a black leather bracelet your outfit choice to be both neat and relaxed. To add oomph to your look, complement with black leather ankle boots.